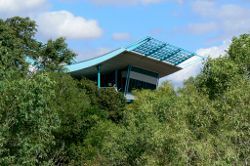 Visit the wetlands tourist information centre known as the Window on the Wetlands at Beatrice Hill near Adelaide River. 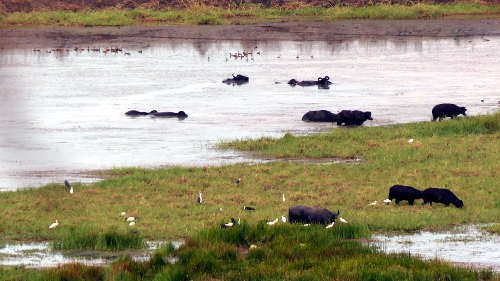 View a typical wetlands ecosystem flora and fauna. 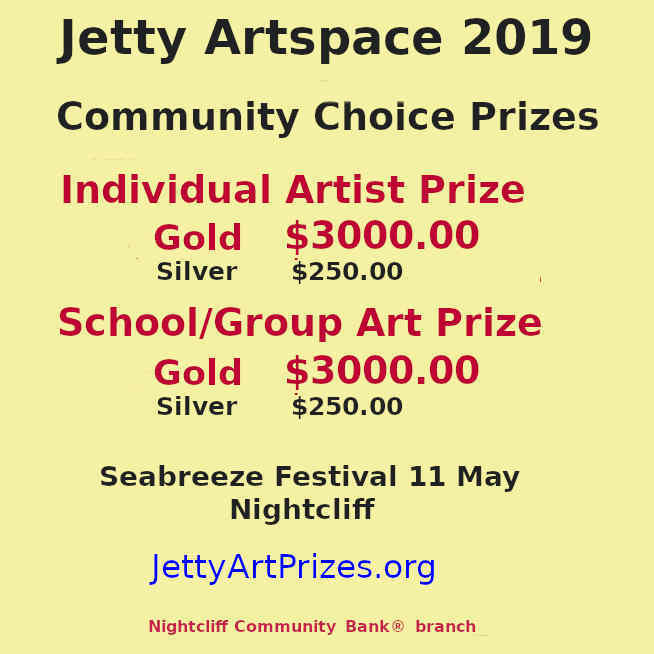 Entry is free, opening hours are from 8am to 7pm. 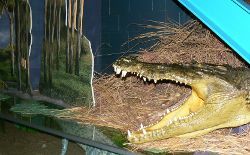 Located just a few k's from the Adelaide River and several jumping crocodile cruises, this is worth a visit. 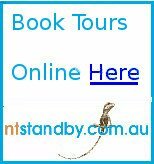 Many of the tours from Darwin call in on the way through to Kakadu or Jabiru. If you are driving yourself, watch for the turn off from the Arnhem Highway at the base of the hill. This is one of the highest points in the area, from this vantage point you can see for miles over the floodplains and wetlands of the Adelaide River. It was named Beatrice Hill by Naval officers surveying the Adelaide River on board the HMS Beatrice in June 1864. The observation deck has binoculars provided so you can see the surrounding area clearly. This is a popular stopover for travellers en route to Kakadu or one of the Adelaide River Crocodile cruises. 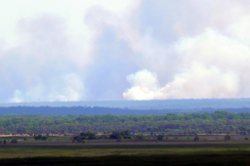 Volumes of smoke from distant fires rising from the escarpment at the edge of the floodplain. 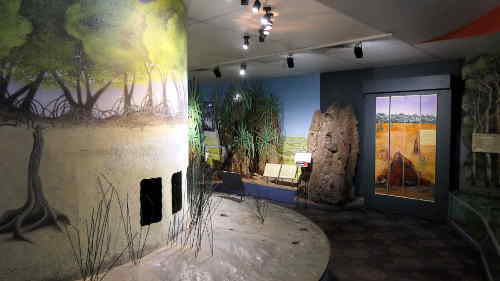 As well as a terrific view, the information centre provides a wealth of information about the Top End wetlands flora and fauna with realistic displays. Park Rangers provide guided tours of the Wetlands displays each Saturday & Sunday at 9.30 am & 2.30 pm. Meet them on the Visitor Centre balcony to learn about the rich variety of wetland plants, animals and culture. The area also has an interesting history as the site of the first attempts to grow sugar cane, coffee and other tropical crops in the early days of settlement in the Territory. 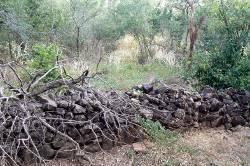 This stone wall and a well are all that remains from those early efforts. 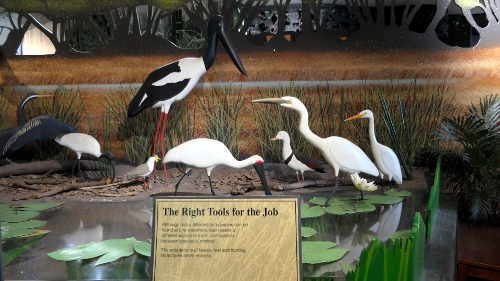 Identify birds easily with this realistic display. 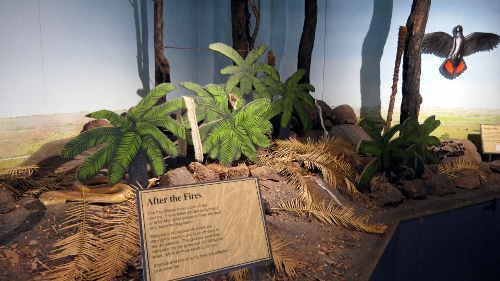 Learn the part fire plays in the ecosystem. Follow the seasons through the displays . Return from Wetlands Tourist Information to Enjoy Darwin Home.